Sakaeya that is popular castella shop’s cafe. 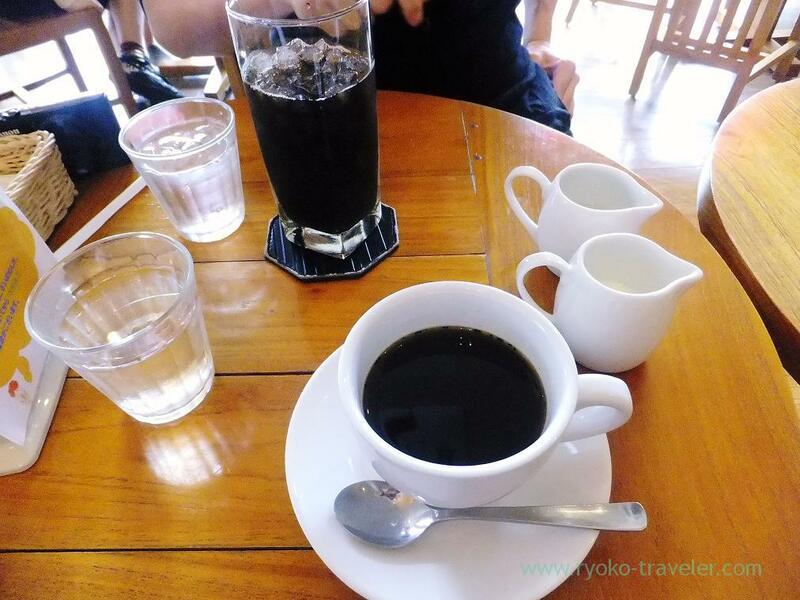 After we got out of Seito Tantanmen, we went to cafe to have coffee. I found a cute cafe in Matsudo. 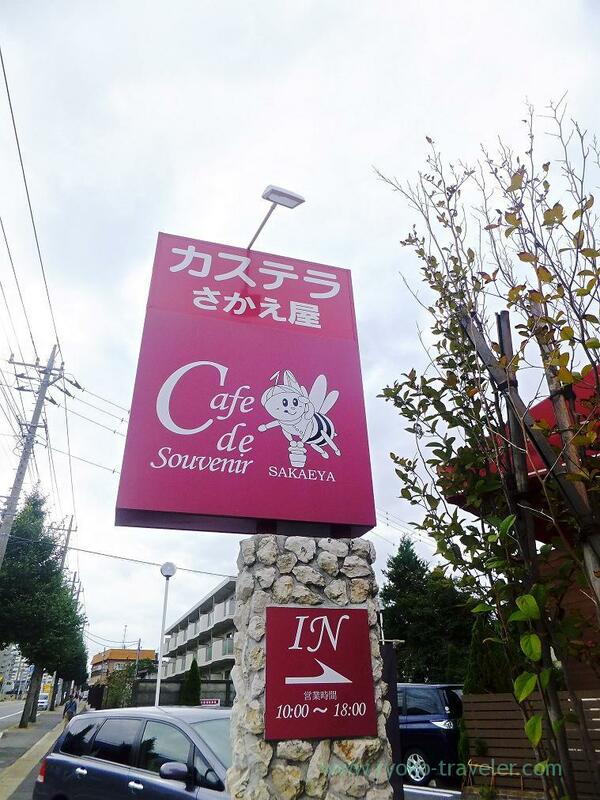 Its name is “Cafe de souvenir”. 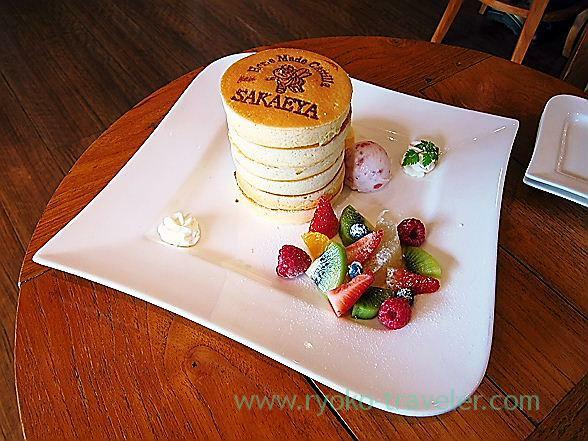 A locally popular castella shop that is named “Sakaeya” is running this cafe. Of course, they sell castella and cakes in the shop. I bought honey-flavor castella there, and it was tasty. Light streaming through large window. There are some seats outside the cafe. But it was colder day, so no one was there. We ordered our drinks and one pancake. We shared the pancake because we already ate lunch. I felt the iced coffee was so tasty, though I don’t like iced coffee. This was the first time that I felt iced coffee is good. But my hot coffee was …Mmm. it’s ok. This is the pancake that have the name of the shop. 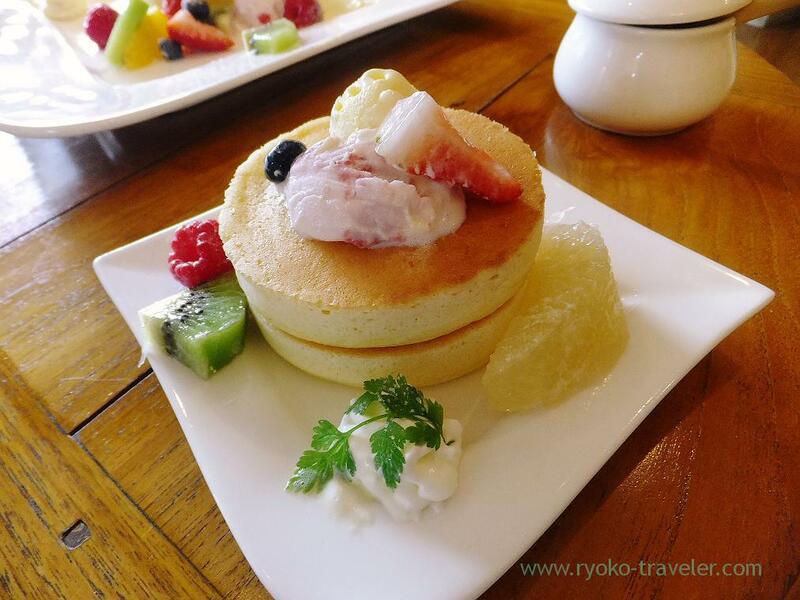 Six small pancakes were stacked like tower. So cute ! Very good 🙂 It was not too sweet and soft. It was something like castella. Well, that is the castella shop’s pancake ! By the way, I could take holidays for a week next month, but still I can’t decide where to go. Thanks.I want to try another pancakes there.